So you have been rummaging through the attic after watching Antiques Roadshow or digging into closets after seeing a pawn shop show on T.V. thinking, “I might have that item I just saw – or one similar to it. I could have a real find!” Or perhaps you are about to inherit property that likely contains collectibles or antiques, and you want to know what might have significant value. Before you hop in your car and zoom over to an antique appraiser, we suggest doing a just little work. Whatever the situation, in this blog, we will cover basic things to look for and consider when trying to determine whether or not to take that old painting, table or lamp to a professional antique or collectible appraiser. Should I Get it Appraised? Yes, Google it. You’d be very surprised at the amount of information that you can get on the Internet. With the growth and use of the Internet over the past few years, nearly all the prominent auction houses have strong online presences, and you can easily find valuations, descriptions, and photos of pieces. Additionally, as the cost of business to operate a virtual store has become affordable as well as a necessity. Smaller and family owned antique and collectible dealers have branched out into cyberspace. In many instances, these businesses are niche oriented and focus on very specific pieces. 18th-century Swiss watches, Civil War period art and military collectibles, 1950’s American made autos, rare and fine musical instrument, etc. As with the more prominent firms, smaller dealers and auction houses can provide you with valuable information about your piece. For the sake of conversation, let us assume that the article you hold is genuine. It’s the real McCoy. Now it’s time to look at the object’s overall condition. Condition is an important criterion in establishing an item’s value. In the world of philatelist and numismatist, the closer an item is to “mint” (untouched – perfect condition) the greater the value the piece will have. But no matter if stamps or currency, the bottom line is that the more pristine condition an object is in, the more value it will retain. Rarity is another aspect that antique and collectible appraisers take into consideration when valuing a piece. The more rare, unique, or extraordinary an object is the greater its value will be when compared to similar items in its category. Many things can add to the rarity of an object including color, size, and even ownership by prominent persons. Now that you have an understanding of what antique appraisers and collectible appraisers look at. Use that knowledge while doing your online research. 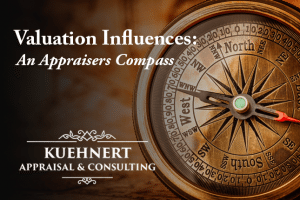 When all things point to you possessing a valuable item, then it makes sense to contact appraisers. Keep these pointers in mind when evaluating the items you suspect to be collectible or antiques. Doing so can save you time and money. We know that this guide will be incredibly helpful for you. After you consider these points that we provide, and you would like to talk to a professional personal property appraiser give us a call at 713-425-0188. You can also leave your comments below.